FOR THE FEARLESS, THE SKY IS NEVER THE LIMIT. 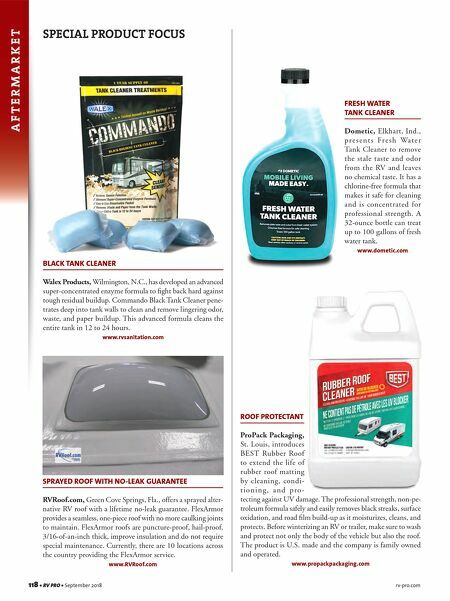 www.easycare.com/rvpro18 844.549.6410 #RVnatives © 2018 Automobile Protection Corporation-APCO. EasyCare, Protecting what moves you and Covideo are a registered trademarks of APCO. MOTOR TREND is a registered trademark of Motor Trend Group, LLC. 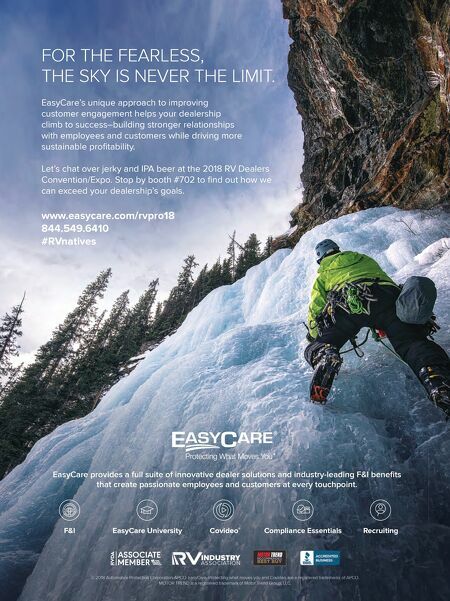 EasyCare provides a full suite of innovative dealer solutions and industry-leading F&I benefi ts that create passionate employees and customers at every touchpoint. Recruiting EasyCare University Covideo ® F&I Compliance Essentials EasyCare's unique approach to improving customer engagement helps your dealership climb to success–building stronger relationships with employees and customers while driving more sustainable profi tability. Let's chat over jerky and IPA beer at the 2018 RV Dealers Convention/Expo. Stop by booth #702 to fi nd out how we can exceed your dealership's goals.